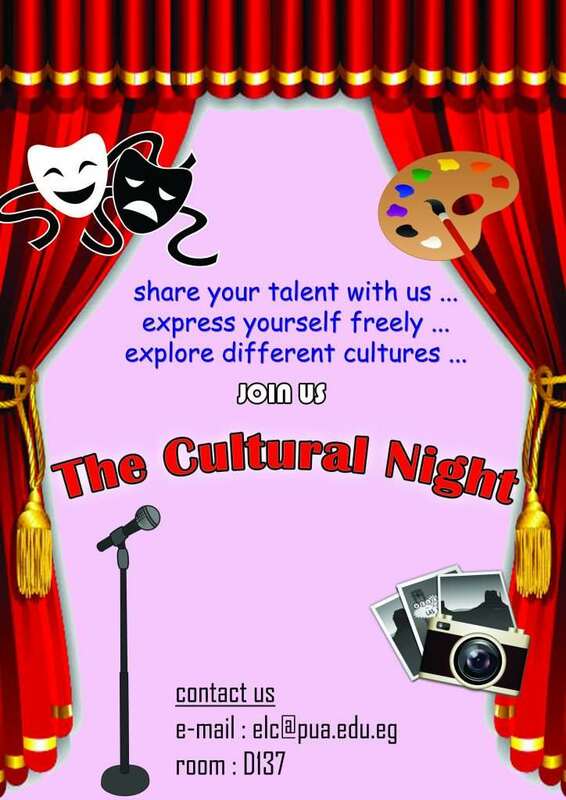 The Cultural Night is an event where a lot of potential and hidden talents in many students will be discovered. PUA students are given a chance to express themselves freely in a stress-free environment outside classrooms. The ELC Cultural Night is going to be held in the theatre on a Tuesday Week 12, towards the end of the semester. The event revolves around one theme, culture and how students see it. It is administered in a competition spirit where students are encouraged to compete showing their view on any aspect of a culture of their choice through a talent they can excel at, such as photography, painting, acting, poetry reciting and playing music.